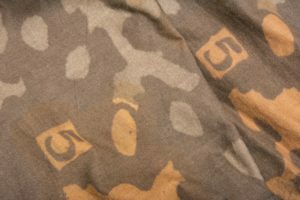 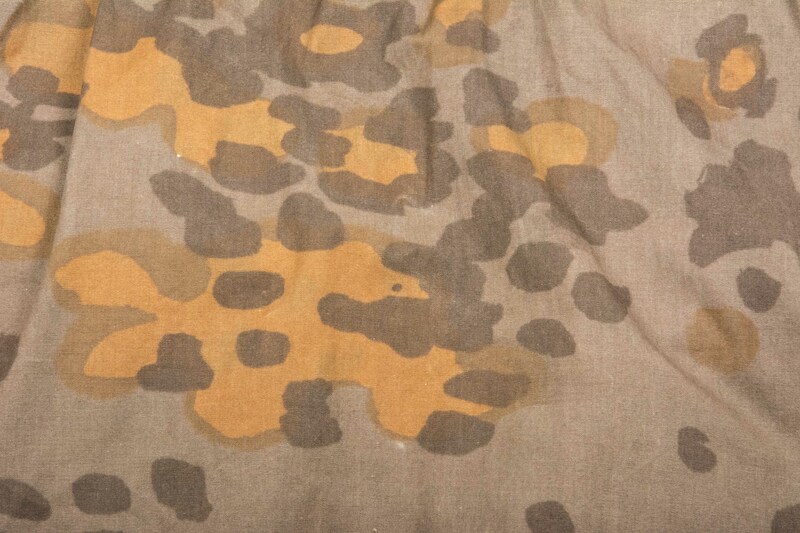 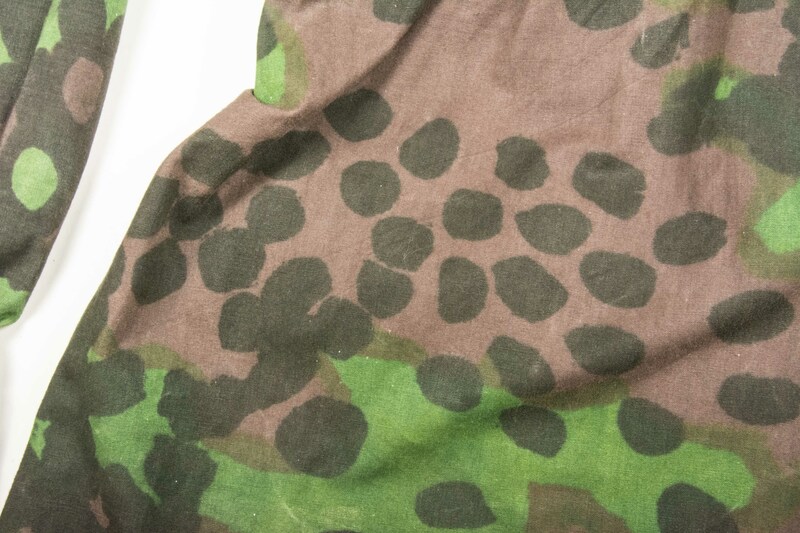 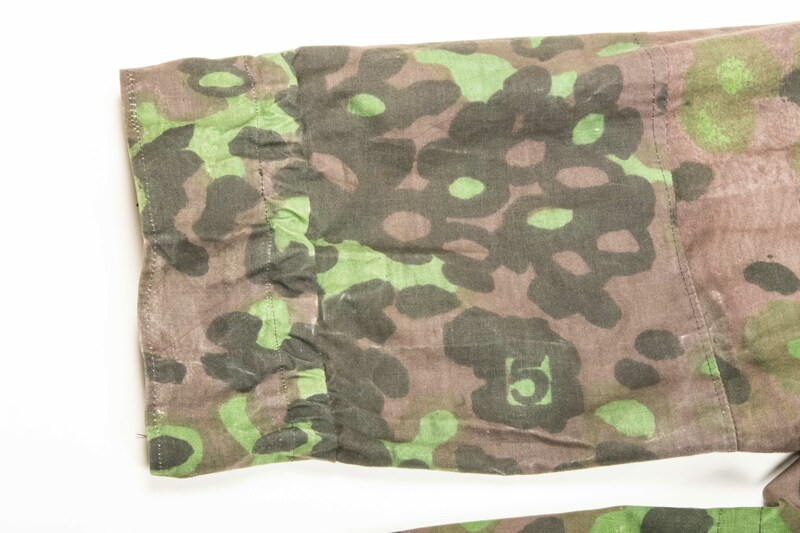 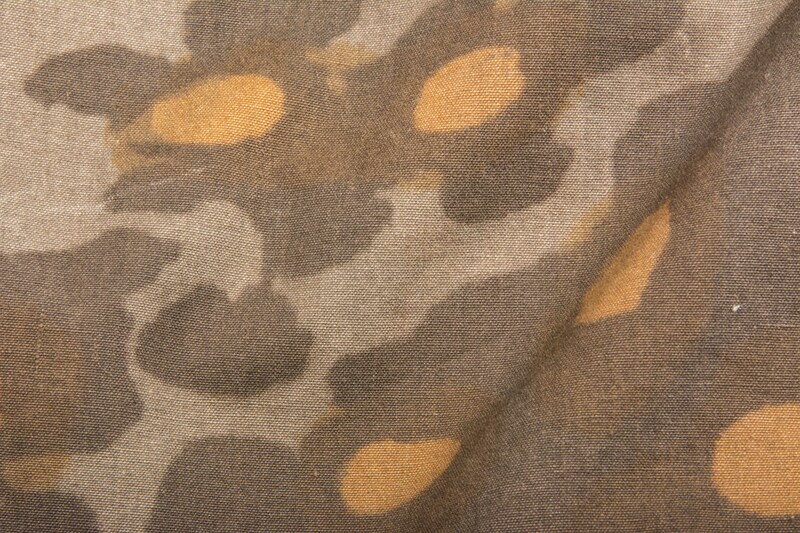 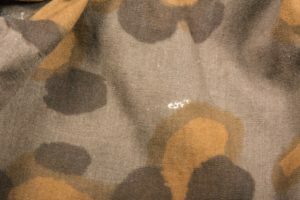 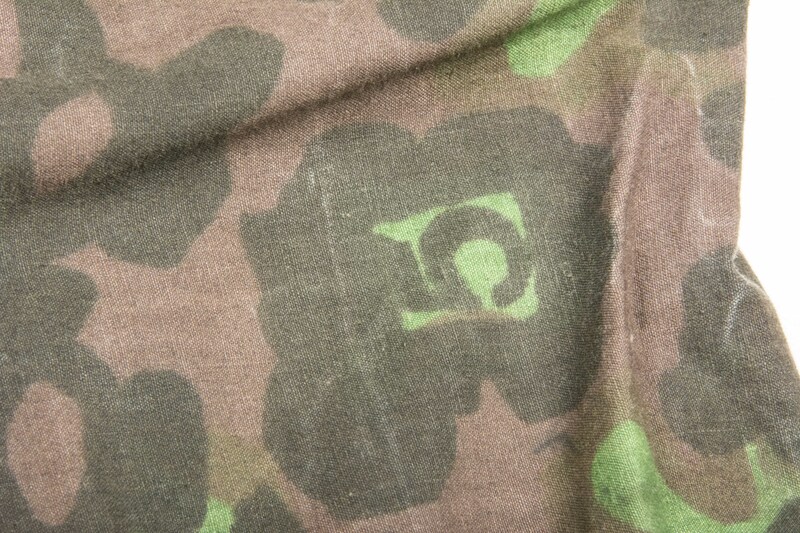 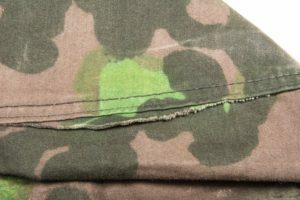 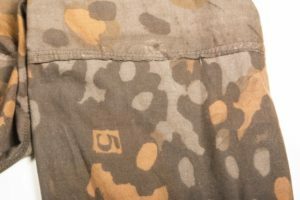 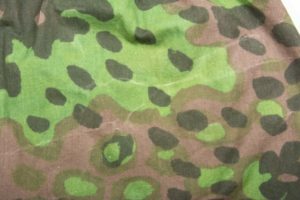 Material: Reversible Plane tree 5/6 or Platanenmuster camouflage printed on so called Makostoff. 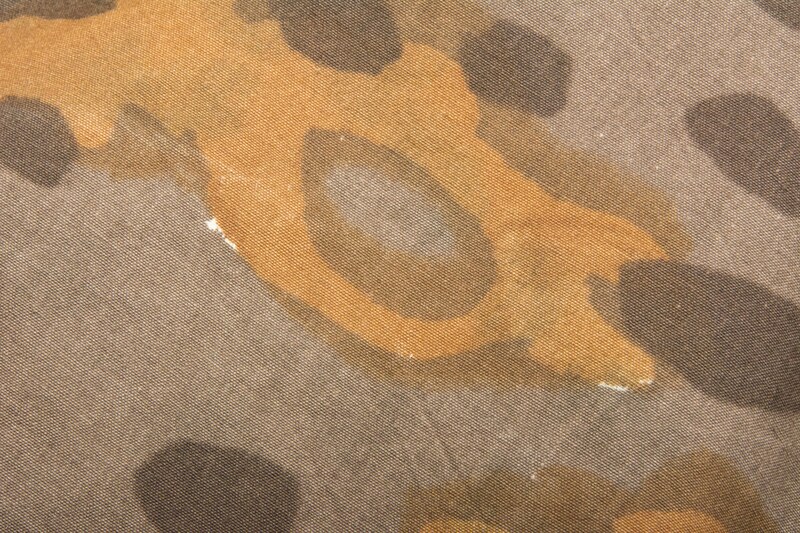 Colour: Plane tree 5/6 or Platanenmuster camouflage, one side with brown tints and the other with greens. This was reversible to camouflage in all seasons. 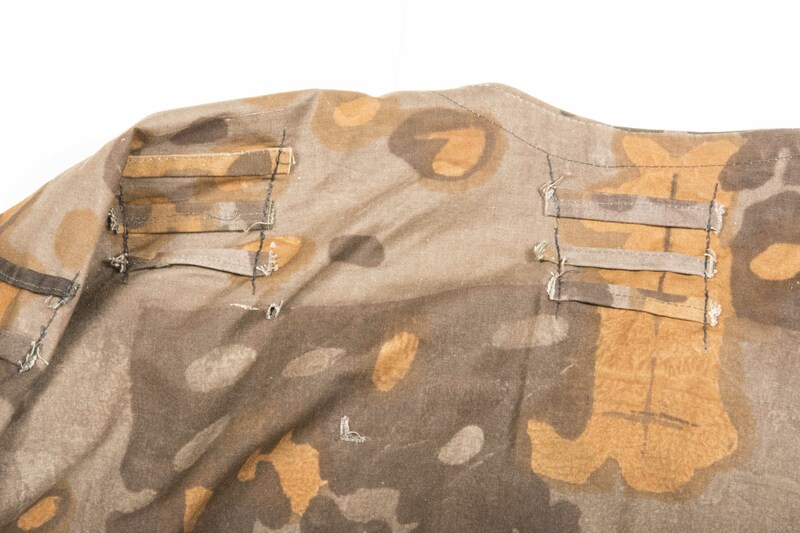 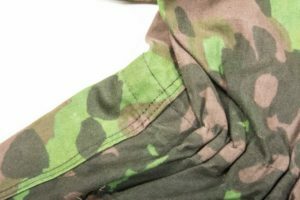 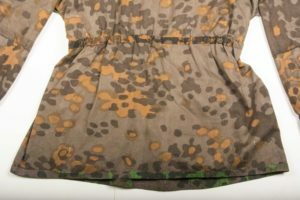 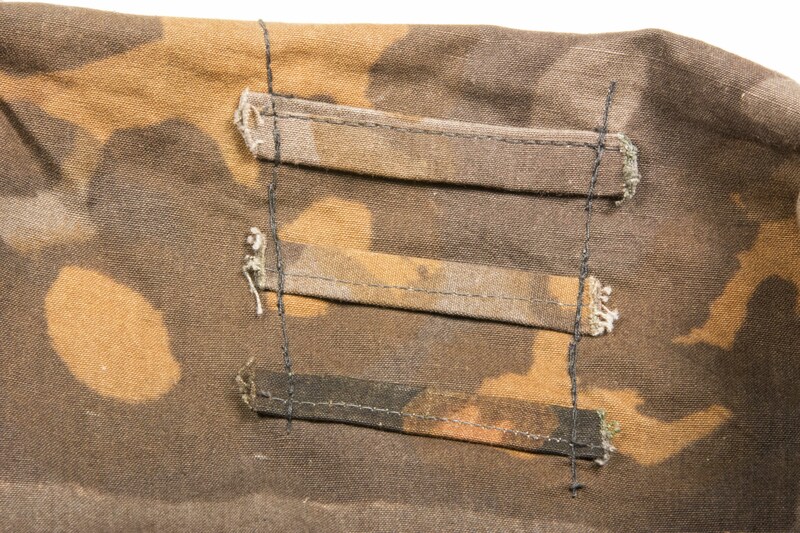 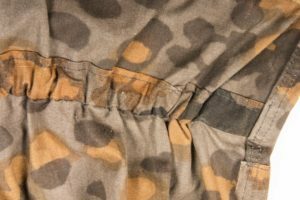 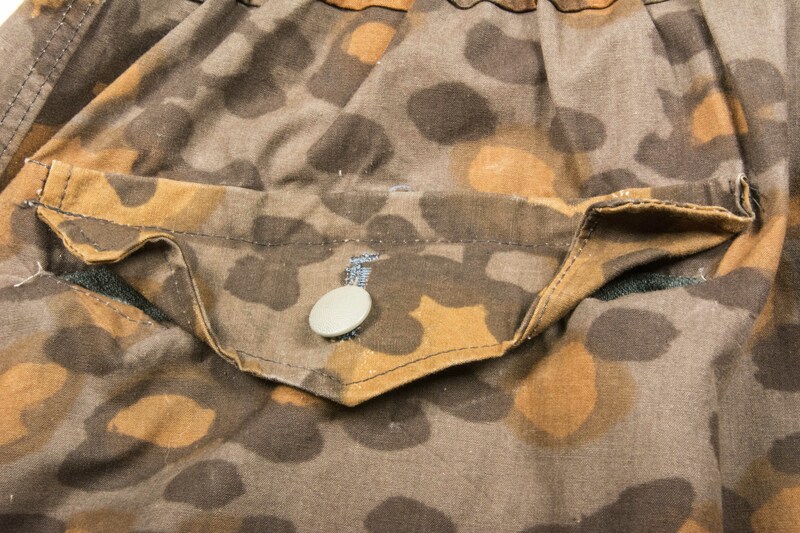 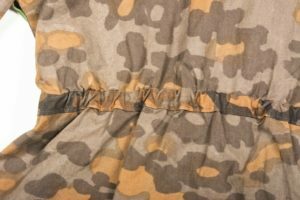 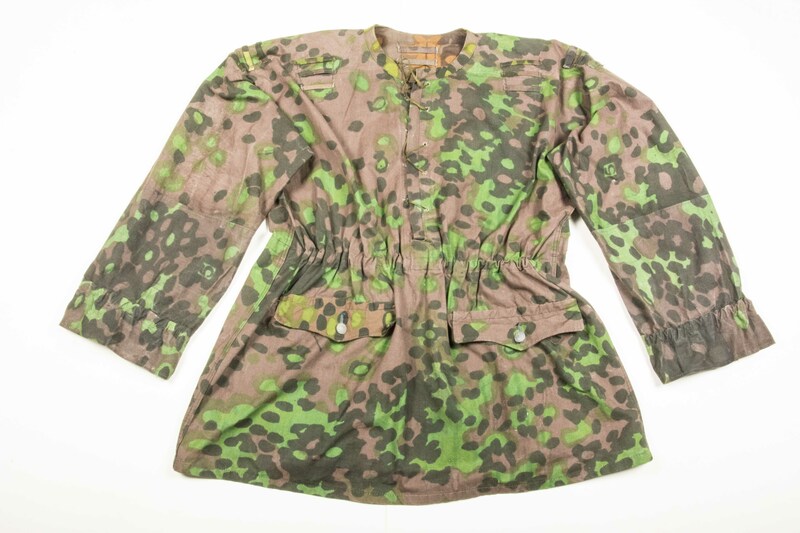 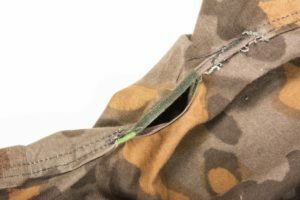 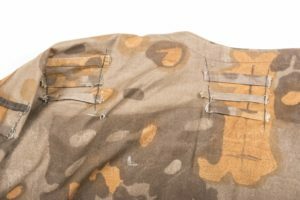 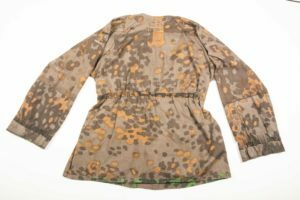 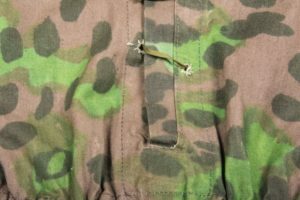 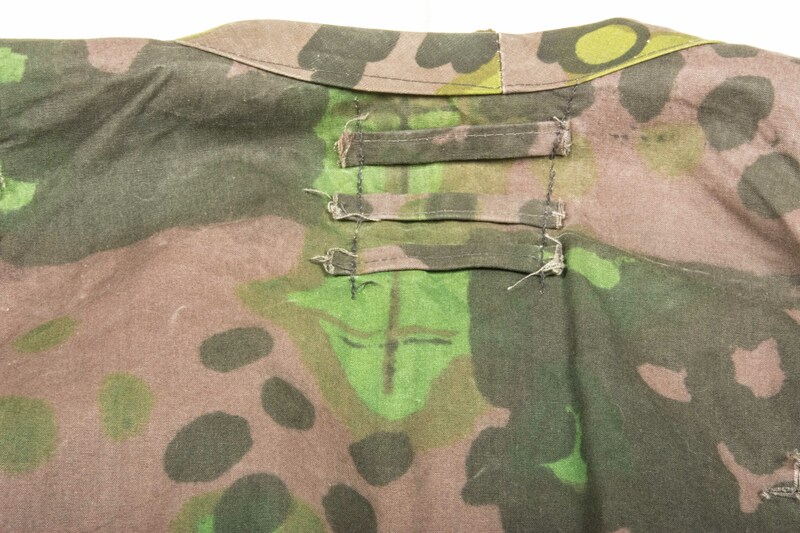 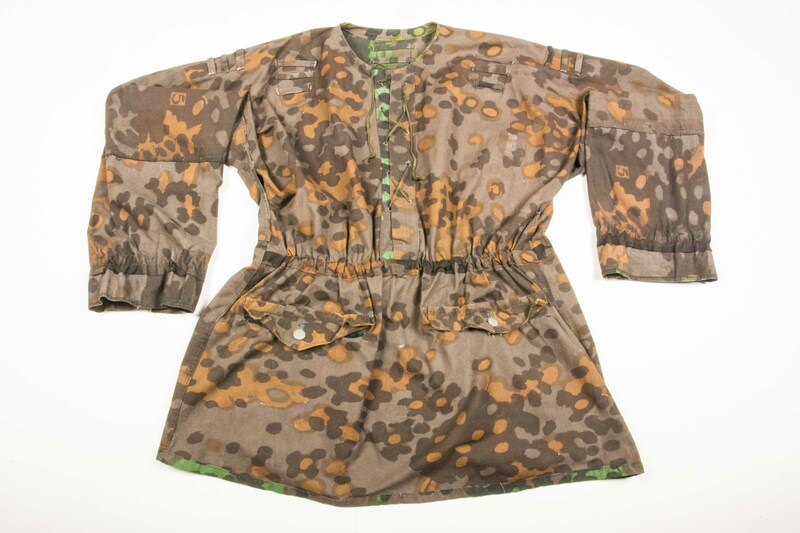 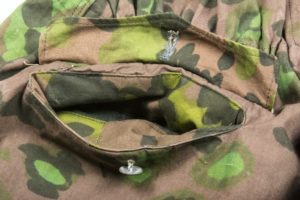 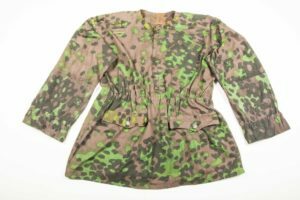 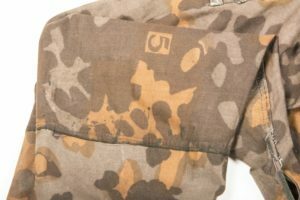 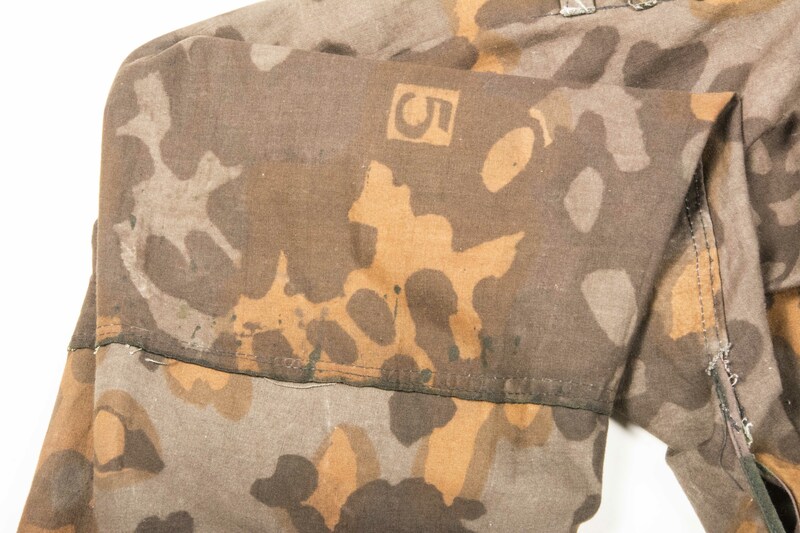 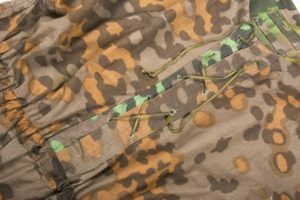 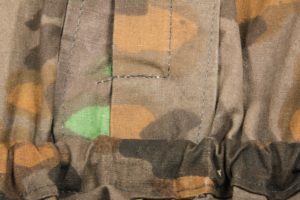 Notes: Waffen-SS M42 Camouflage Smock (Tarnjacke). 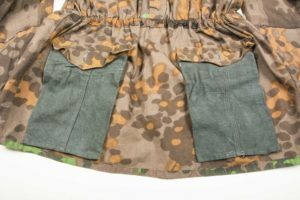 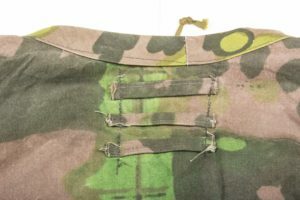 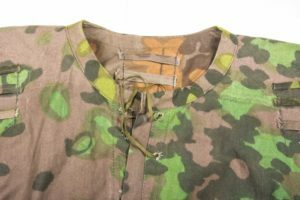 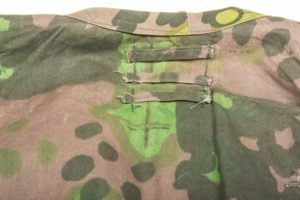 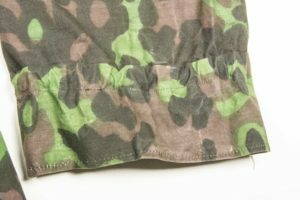 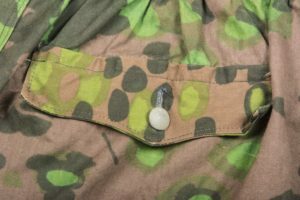 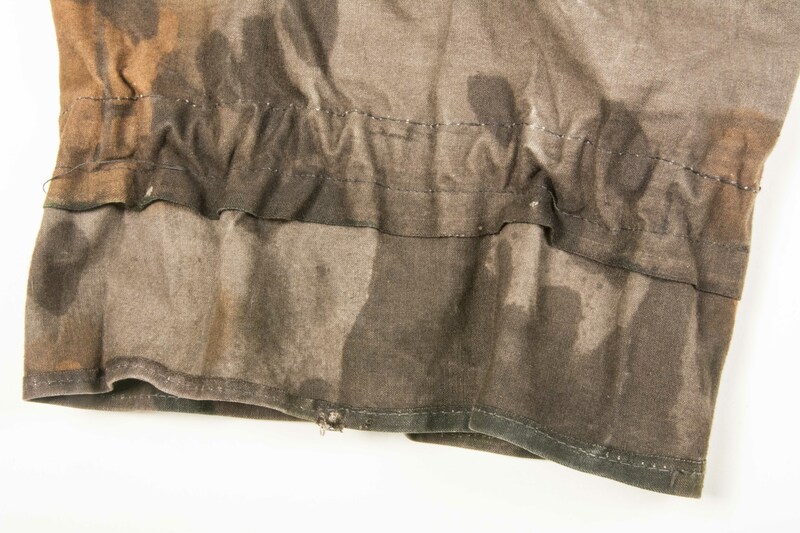 This is a M42 type 1 smock with horizontal lower pockets. 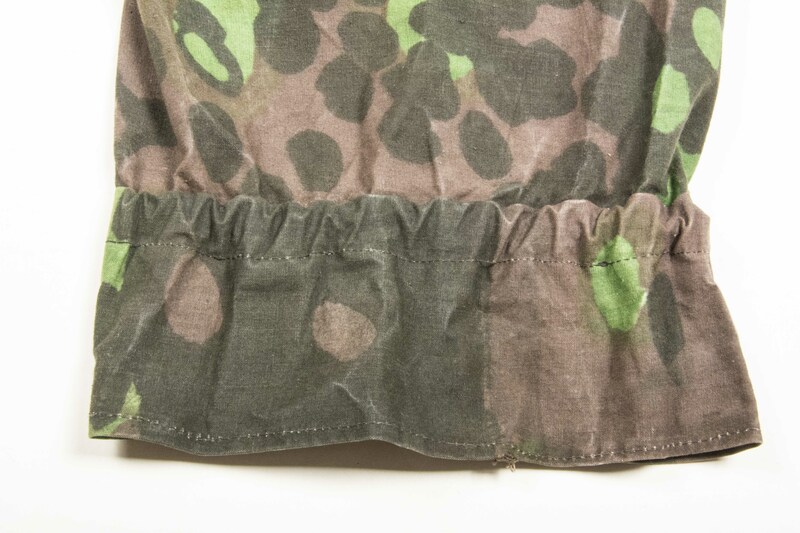 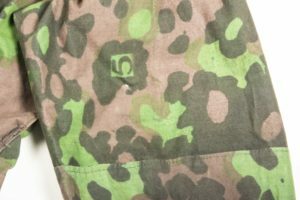 The smock is made out of hand screened Plane Tree 5/6 or Platanenmuster pattern camouflage. 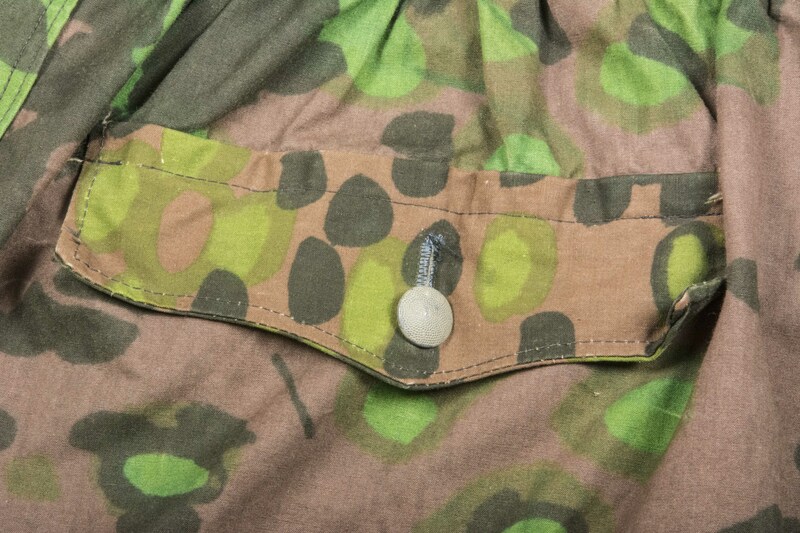 The reversible pockets are constructed in standard fieldgrey HBT or Drillich. 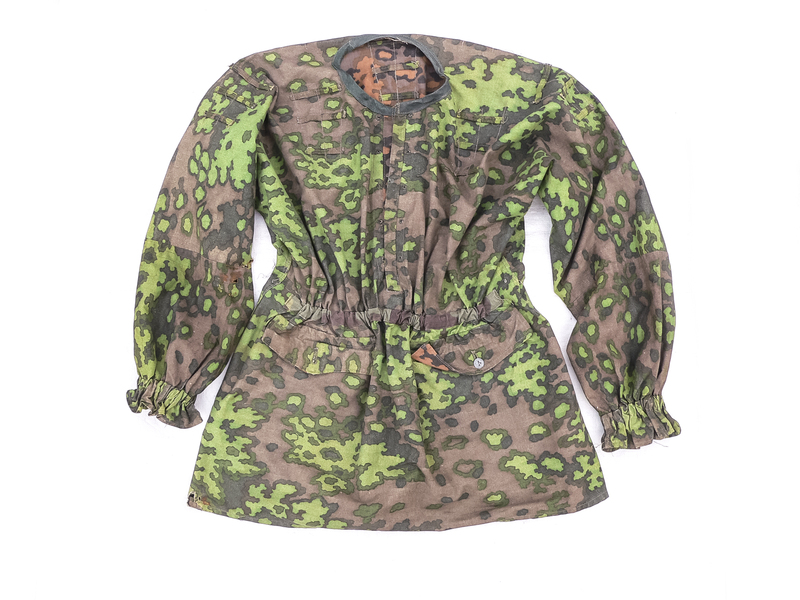 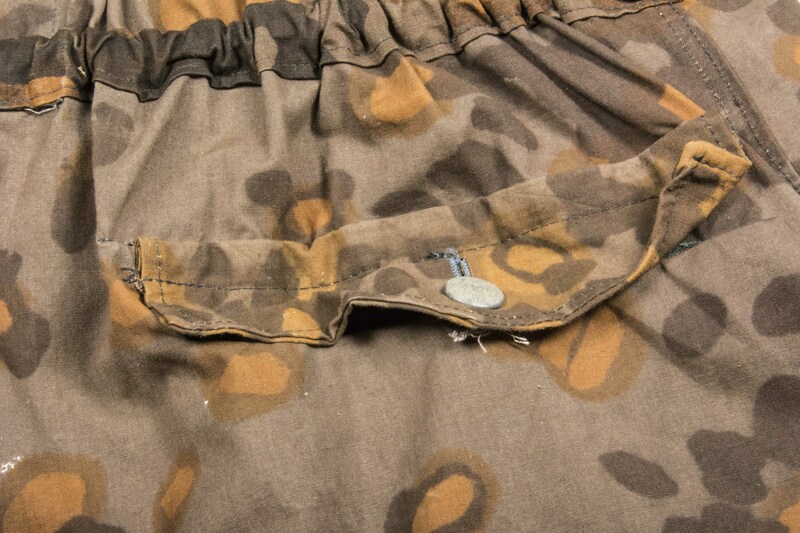 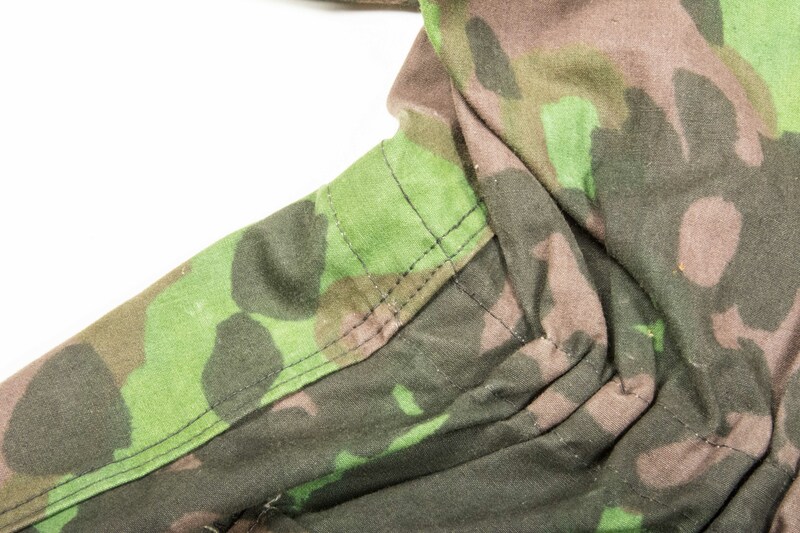 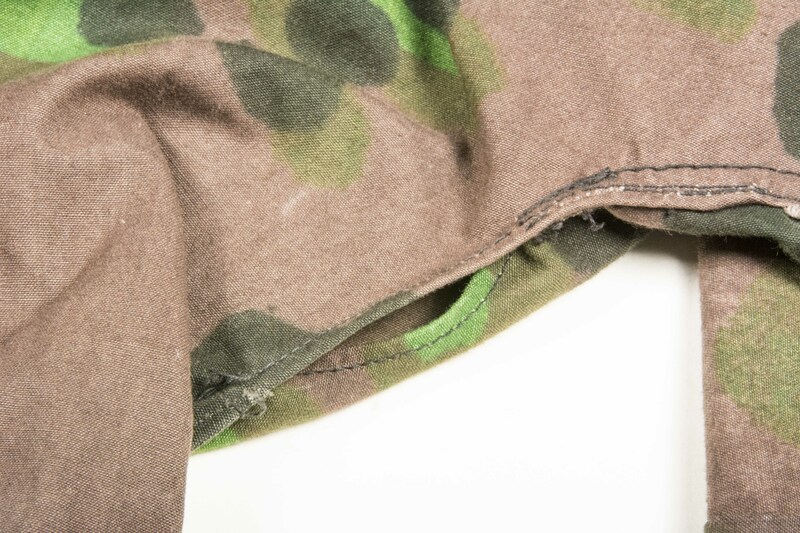 The fooliage loops and the collar bordering are made of a different camouflage print.